Cap your monthly spend, and avoid nasty bill shocks. 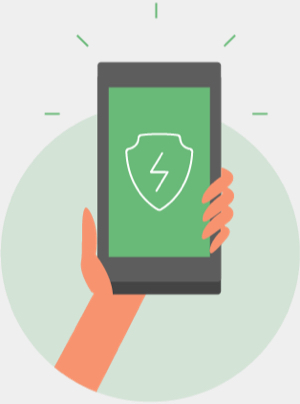 Bill Capping is a money-saving feature on all iD Mobile plans. It lets you limit your monthly spend to an amount that works for you. How does Bill Capping work? 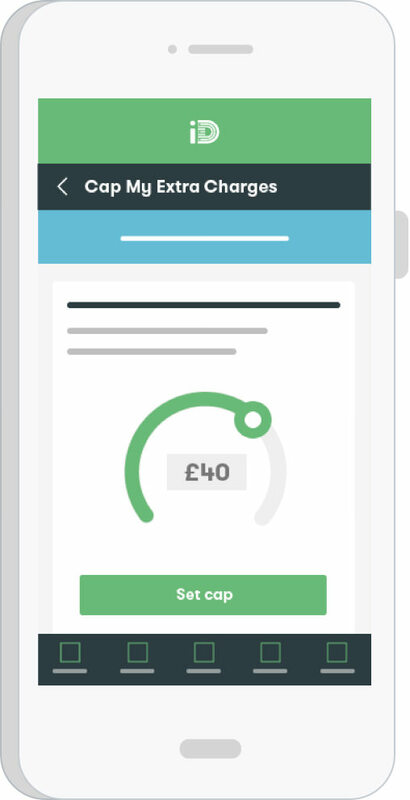 You can now choose your cap when you buy your plan. Choose an out-of-plan spend cap between £0 and £25 when you buy your plan. Never pay more than your cap. We won't charge you more than your cap, even if you use up your allowances. Change your cap at any time. 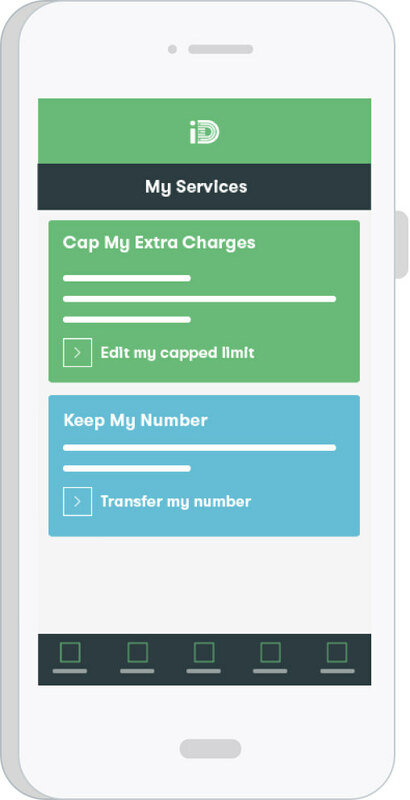 It's easy to adjust your cap with the iD Mobile app or My Account online. A few words about add-ons: The cost of buying an add-on doesn't count towards your cap. Also, you can buy add-ons when your cap has been reached. How can I view and change my cap? Select 'My Services' from the bottom menu. To change your cap, select 'Edit my capped limit'. Move the slider to the capped limit you want. If you've reached your capped limit, move the slider right to increase it. Confirm that you're happy with the capped limit. What happens if I reach my capped limit? If you run out of an allowance and keep using it, you'll be charged out-of-plan rates until you reach your capped limit. 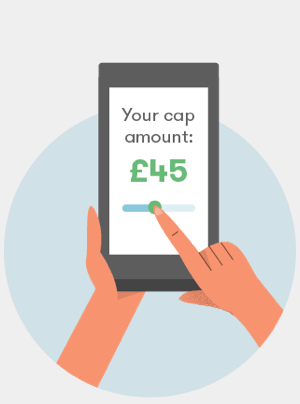 When you reach your capped limit - or if your cap is set to £0 - you won't be able to do anything you'd be charged for (e.g. 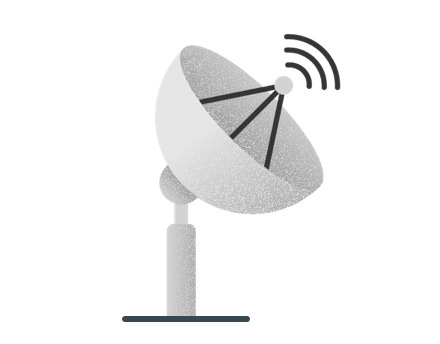 international roaming, sending picture messages and premium rate calls). You'll still be able to use any allowances you've got left. 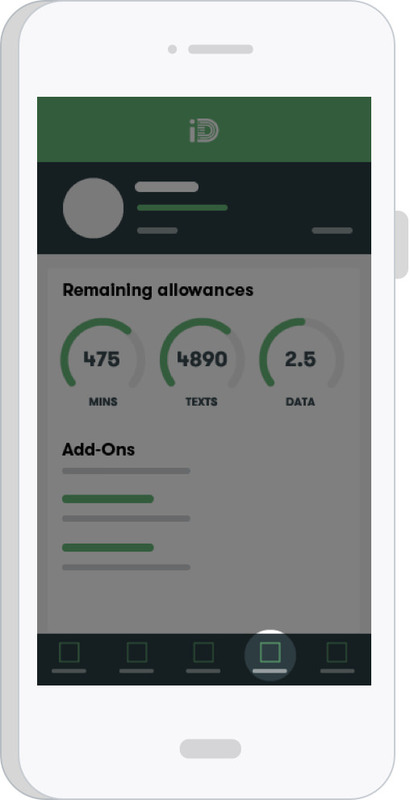 And you can always buy add-ons of minutes and data, or increase your cap (up to your credit limit). Note: Optional extras, including add-ons and the paper billing charge (if you choose to set this up), get added to your monthly bill. They aren't included in your cap amount. What's the difference between my cap and credit limit? 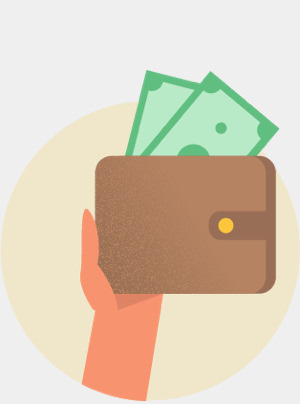 Your credit limit is the maximum out-of-plan charges you can incur on an iD connection (not including your monthly line rental, add-ons, and any other admin charges). It is an amount, in pounds, based on the results of the credit checks we processed when you bought your iD Mobile plan. 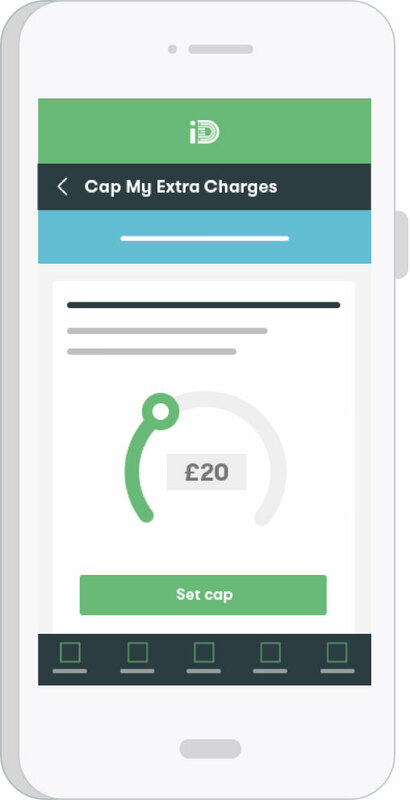 Your cap is an adjustable 'out-of-plan spend' limit placed on your account. 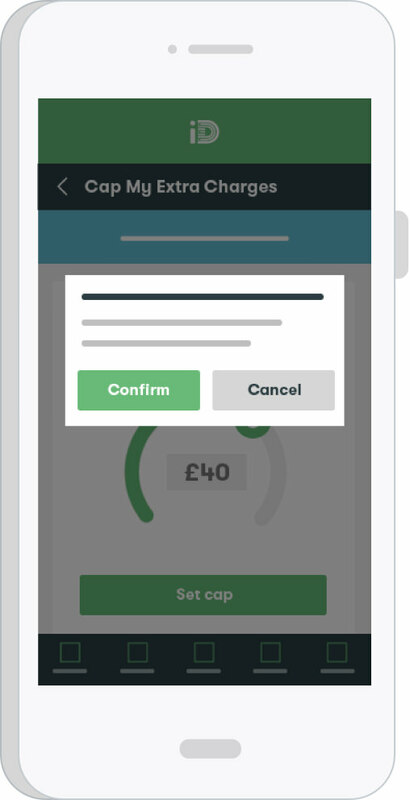 You can adjust it between £0 and your credit limit with the iD Mobile app or My Account online. Can I still use my phone abroad with a £0 cap? 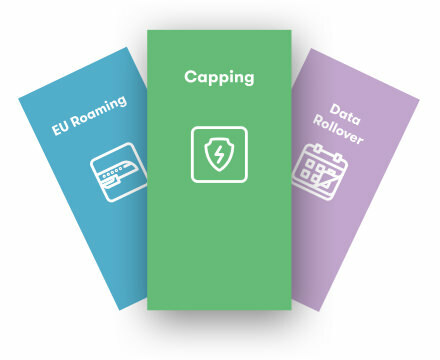 Yes, you can still use your phone abroad with a £0 cap - as long as you have inclusive allowances remaining and you're in one of our 50 Inclusive Roaming destinations. 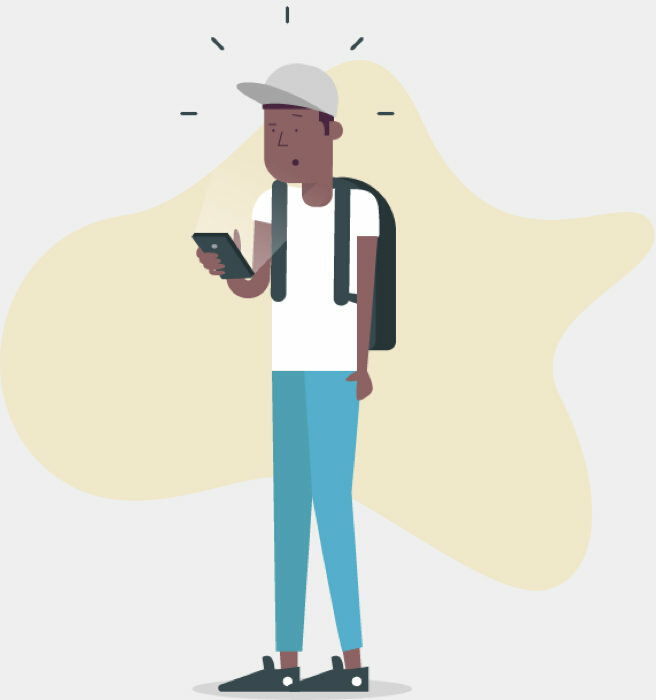 If you're somewhere else you won't be able to use your phone with a £0 cap, as your activity will be classed as international roaming, and any usage will be chargeable. How do I increase my cap? Simply log in to the iD Mobile app or My Account online and adjust your cap on the settings page. Reasons to join iD Mobile. 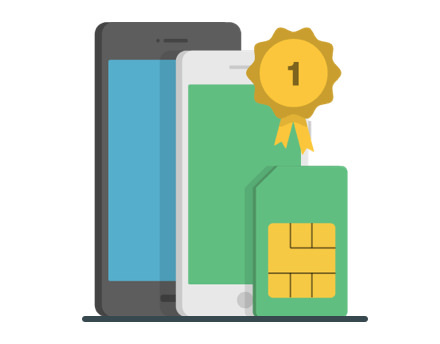 All our plans come with capping, free Data Rollover and inclusive EU roaming.